In a small skillet over medium-high heat, heat the olive oil, and sauté the onion and garlic with a pinch of the salt for about 5 minutes, until the onion is soft and translucent. Place the broth, steamed carrots, tahini, lemon juice, cilantro, cumin, ginger, cinnamon, cayenne, and remaining salt into your blender, and add the onion mixture. Blast on high for 30 to 60 seconds until smooth and creamy. You may have to stop the machine and scrape down the sides of the container to ensure all of the ingredients fully incorporate. Tweak tahini, lemon juice, and salt to taste. Transfer to a sealed container in the fridge to chill and thicken. 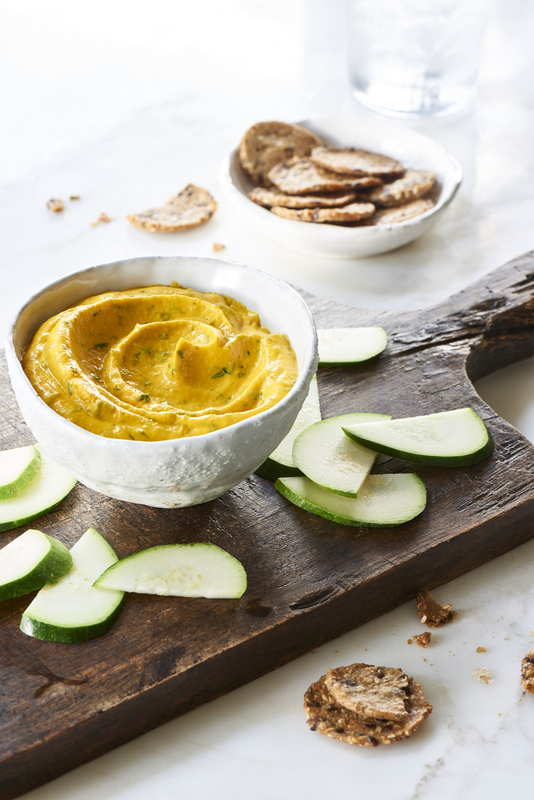 Serve with veggie sticks or crackers, or slather on sandwiches and wraps.